The Gatehouse, Bitchfield Tower Cottages in Belsay sleeps 2 people. Situated in the grounds of Bitchfield Tower, a 13th-century pele tower, amongst picturesque countryside, these tasteful detached cottages (refs MVW [Tower Cottage] and MVX) provide peaceful surroundings for the ideal holiday base. Set amongst Grade I listed buildings and with access to the grounds, tennis court and trout lake, visitors will not want to leave this charming estate. Belsay Hall, Castle and Gardens offer an interesting day out, or plan a day up the Northumbrian Heritage Coast stopping off at the ducal town of Alnwick with its famous castle and enchanting water gardens. Nearby Ponteland has some bespoke shops and cafes and a good selection of pubs and restaurants. The vibrant city life in Newcastle can be reached easily, and Hexham and Morpeth are among some visitors’ favourite places to visit. A trip to the border counties steeped in history should not be missed. Shop, pub and restaurant 3 miles. Open-plan living/dining room with wood-burning stove, kitchen area and oak floor. Spiral stairs to first floor: Double bedroom with 5ft bed, view of tower, oak floor and en-suite bathroom with shower attachment and toilet. For a better idea of where Bitchfield Tower Cottages - The Gatehouse is, you can see Bitchfield Tower Cottages - The Gatehouse on the map below. 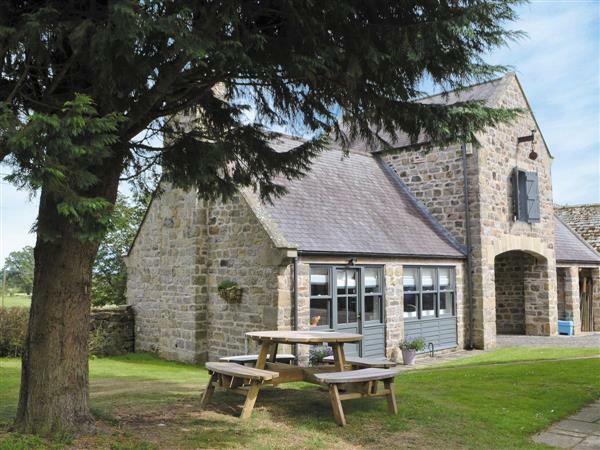 Bitchfield Tower Cottages - The Gatehouse is in Northumberland; should you be on the lookout for a special offer, you can find all the special offers in Northumberland. It's always worth checking to see what is on offer at the moment. Do you want to holiday near Bitchfield Tower Cottages - The Gatehouse (MVX), you can see other cottages within 25 miles of Bitchfield Tower Cottages - The Gatehouse; have a look to find your perfect holiday location.